It's 01:02 in Morganton, USA right now. 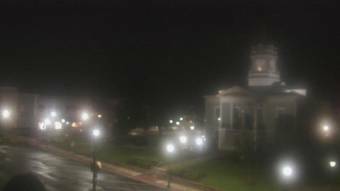 WBTV Morganton Bureau A webcam in Morganton, North Carolina - camera location: WBTV Morganton Bureau. Blowing Rock, North Carolina: Appalachian Ski Mtn., Inc., 26.9 miles away. Lincolnton, North Carolina: Lincoln County IT Office, 30.7 miles away. Black Mountain, North Carolina: City View, 36.8 miles away. Chimney Rock, North Carolina: Chimney Rock State Park, 38 miles away. Statesville, North Carolina: Cloverleaf Elementary School, 44.8 miles away. Johnson City, Tennessee: Bank of Tennessee, 54.2 miles away. Johnson City, Tennessee: Buffalo Mountain, 54.2 miles away. Charlotte, North Carolina: The Town of Ayrsley , 59.5 miles away.